Russian stocks are likely to open lower on Thursday, reflecting global sentiment on international floors and growing tensions in the Middle East. 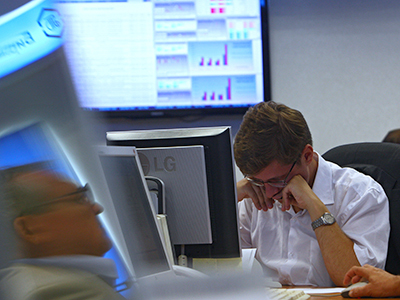 Russian stocks traded mixed Wednesday as uncertainty in Europe overshadowed some strong corporate results at home. The MICEX shed 0.1% and the RTS gained 0.5%. 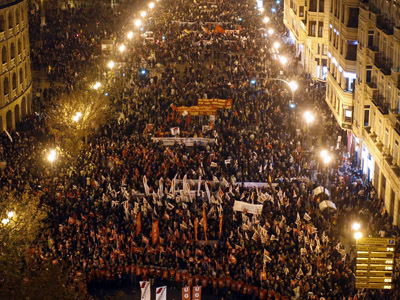 Anti-austerity strikes and protests across southern Europe pushed down European shares Wednesday. The Stoxx Europe 600 dropped 0.9% to the lowest level since early September. The German DAX 30 shed 0.9%, triggered down by energy stock. In France, CAC 40 also lost 0.9% with banks among the losers. 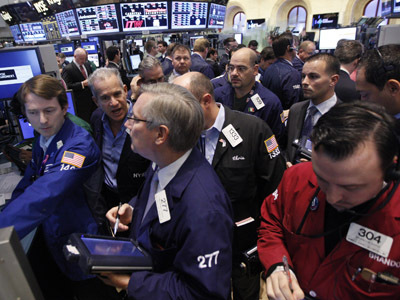 US markets closed in the red Wednesday on worries about US economic growth, while Israeli strikes in the Gaza Strip increased investor anxiety, pushing oil prices higher. The Dow Jones shed 1.5%, the S&P 500 fell1.4% and the Nasdaq Composite declined 1.3%, to its lowest level in five months. Asian stock markets fell sharply Thursday ahead of the announcement of China’s new Communist Party, while concerns about the US “fiscal cliff” also dented sentiment. In China, Hong Kong’s Hang Seng dropped 1%, while the Shanghai Composite lost 0.6%. South Korea’s Kospi fell 1.45%, and Australia’s S&P/ASX 200 shed 0.8%. But Japan’s Nikkei bucked the trend and gained 1.4%, supported by the tech sector and a weaker yen.